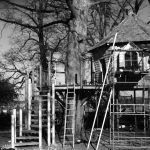 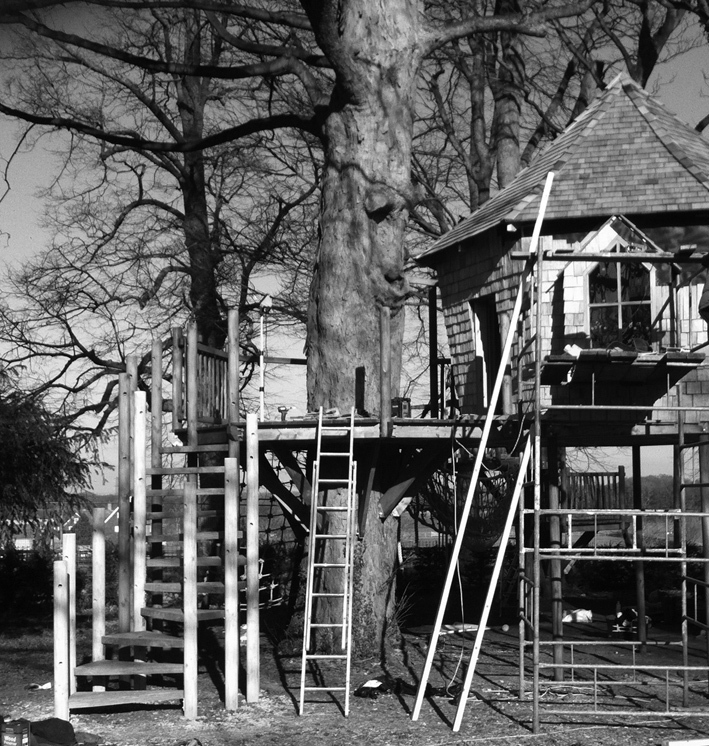 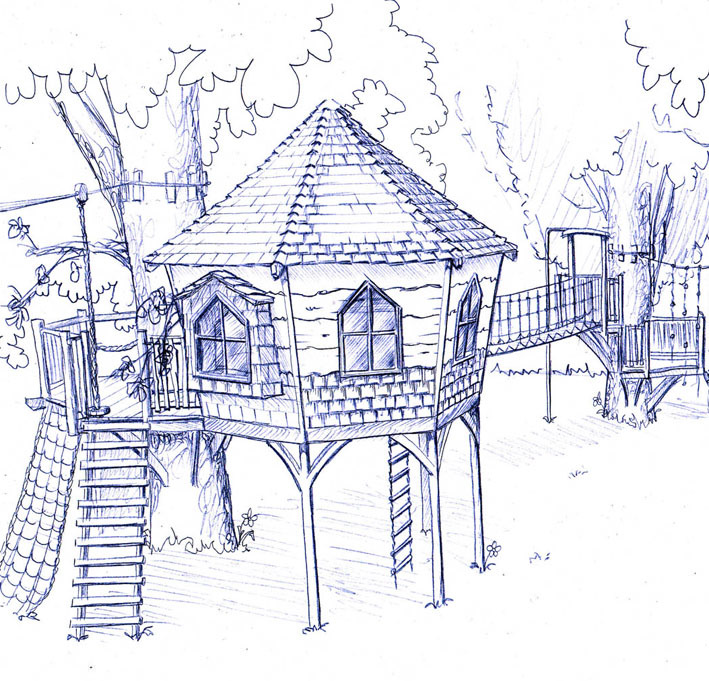 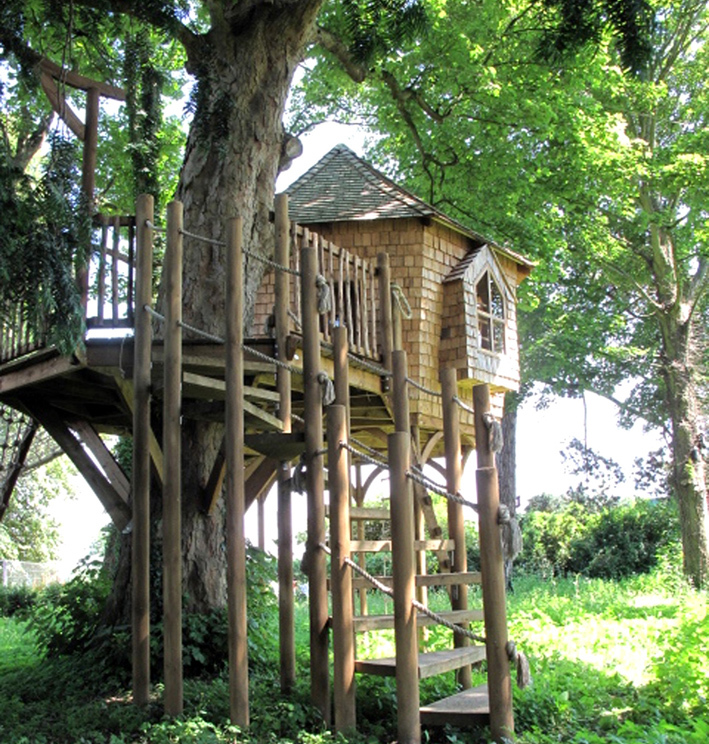 A tree house scheme designed especially for the children’s woodland garden. 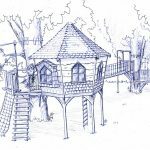 With a complete redesign and relandscape, this client’s garden designers had been asked to create a magical children’s adventure area within a small woodland. 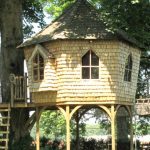 We were invited to work alongside them and design an adventurous and attractive tree house that would be the central feature of the area. 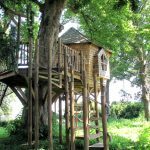 It needed to be enticing for children of varying ages and also dramatic in its appearance: it should have a natural affinity with its surroundings. 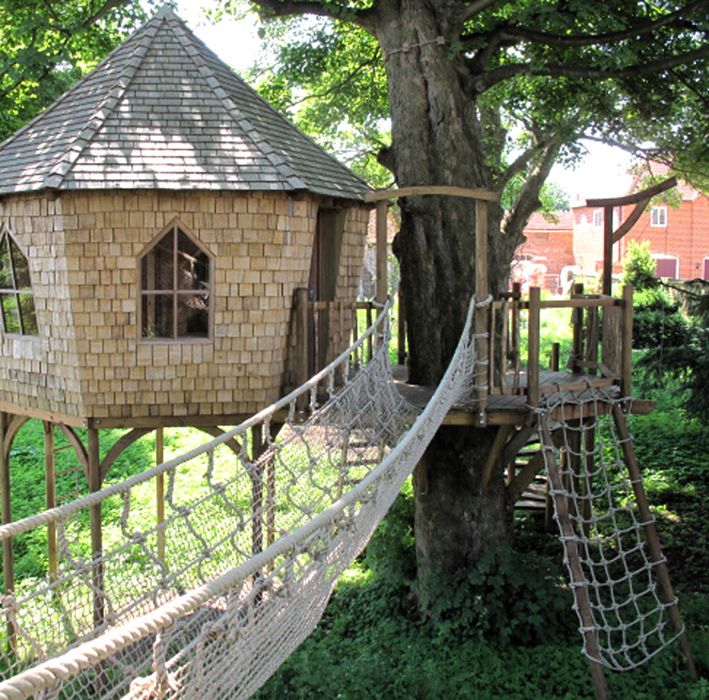 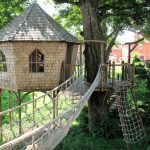 and climbing net and a tree house large enough to sleep a huddle of children at one time. 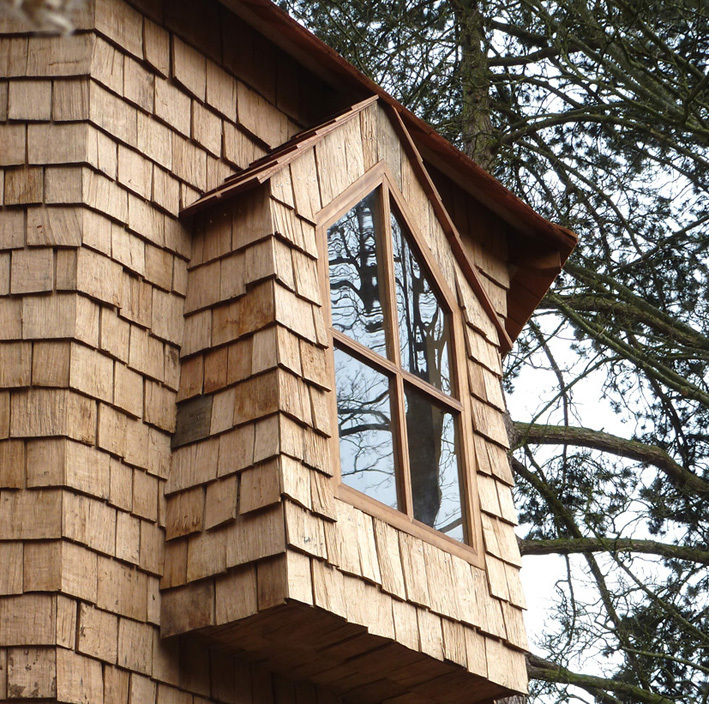 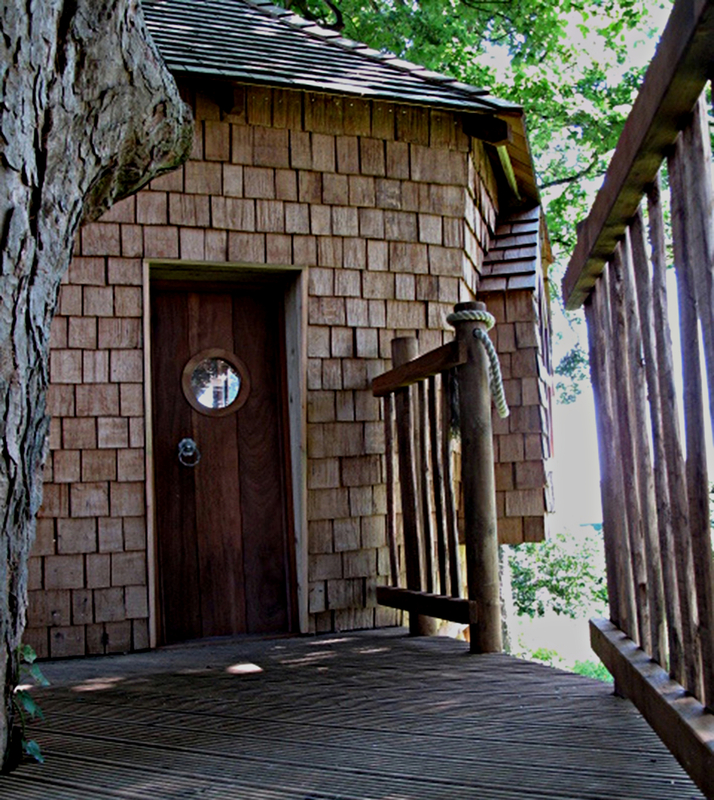 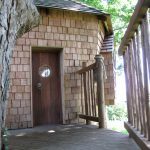 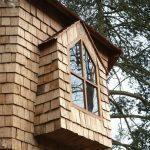 The external tree house walls are skillfully clad in oak shakes -a dramatic effect – and the roof in cedar shingles.